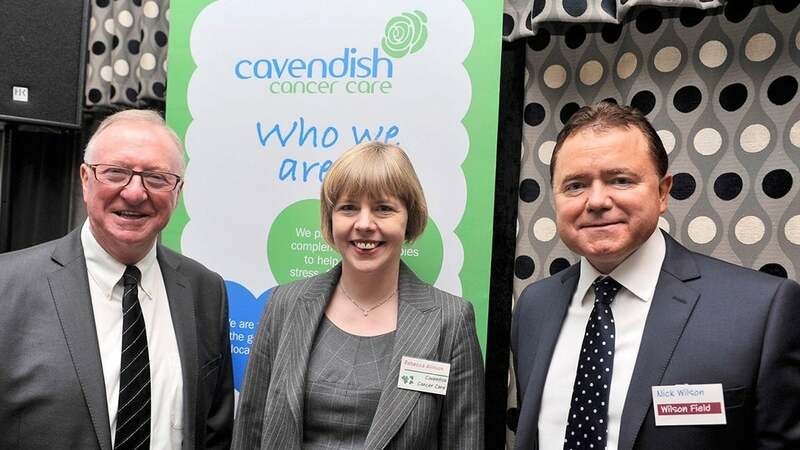 Irish eyes were smiling on Cavendish Cancer Care when a donation of nearly £700 was raised by guests at a St Patrick’s Day business lunch. The Sheffield-based good cause, which provides care and support for cancer patients and their families, was picked as the charity of choice by insolvency and business turnaround specialist Wilson Field for its Irish event. Former snooker world champion Dennis Taylor was guest of honour at The Bit of a Do event which took place at Baldwin’s Omega. Also in attendance was around 100 clients and partners of Wilson Field. Belfast-born Dennis let guests into a few secrets about his favourite fellow snooker players and his time in Sheffield. Cavendish Cancer Care, based on Wilkinson Street, was established more than 20 years ago. It offers a place where patients and their families can go to cope with and ease the impact of living with a cancer diagnosis. For further details visit www.cavcare.org.uk or call 0114 278 4600. Insolvency practitioners are available to help you in business. Since borrowing or using your personal resources whilst admirable may not always be in anybody’s interest. So before you become another statistic, consider how an insolvency practitioner can help you.